Beverly McClellan. Have you heard of her? If you watched the new hit TV show, The Voice, on NBC this season, you are more than just vaguely familiar with this vocal dynamo. I must admit that I didn’t watch The Voice and I honestly don’t know why since I am a big fan of both Christina Aguilera and Blake Shelton. I can assure you that, after having the distinct privilege of chatting with Ms. McClellan, that particular mistake won’t happen again. 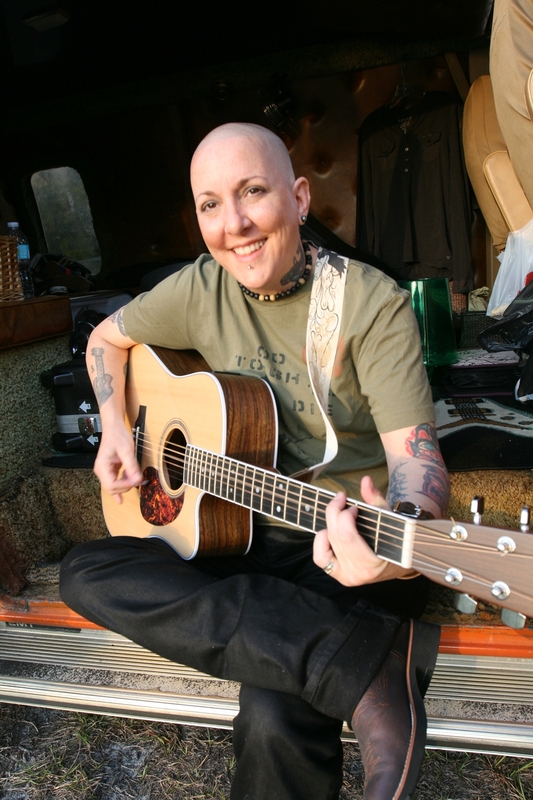 I recently reached Beverly at her Fort Lauderdale, Florida, home to chat about life since coming in at a very respectable 3rd place on The Voice as well as discuss her latest CD, Fear Nothing. Beverly McClellan is one of those kinds of people who, from the first “hello” makes a total stranger feel like a lifelong friend. Oozing her laid-back, what-you-see-is-what-you-get charm, I felt that one of us should be pouring the other some coffee while we chatted. As we made a little bit of small talk before we started the interview, I asked Beverly is she was tired of the interview gauntlet that she no doubt has had to endure. Her reply reflects the almost “aw shucks” tone that permeated our chat. McClellan is all about chillin’, relaxin’ and not putting on pretenses. She’s all about being real. A story about a recent appearance in San Diego illustrates the point. With the incredible exposure to the world that Beverly enjoyed during her incredible run on The Voice, I asked her what all has happened, career-wise, since she blasted her way into America’s consciousness . Things like record deals, tours and special appearances. Her response reveals a woman who is both excited and truly appreciative of the blessings that have been bestowed on her. Even though Ms. McClellan is new to the international stage, I asked her what she thinks is the biggest misconception about her so far. Since Beverly mentioned the blues, I broke from my list of questions to ask her who her favorite blues artist is. Speaking of, I read somewhere that she calls herself a “Janis Joplin-Melissa Etheridge-Etta James hybrid”. I couldn’t agree with her more – except maybe to add that you probably have a little bit of Bonnie Bramlett mixed in there, too. 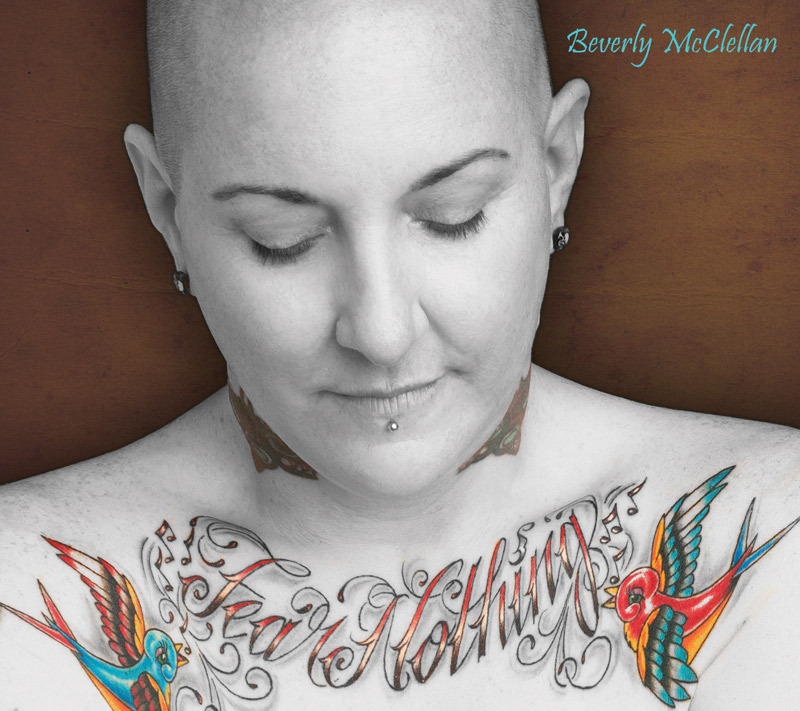 I’m a real sucker for finding out the stories behind songs and it’s no different regarding some of the tunes on Beverly’s new CD, Fear Nothing. The first song I asked her about, for my own person reasons, was Never Will Forget. She has a line in the song where she comments about “them Tennessee hills”. I asked her about the inspiration behind that song, telling her that I was born in east Tennessee. “Me, too! Kingsport. Kingsport, Tennessee! It’s only because they didn’t have a hospital in Gate City (Virginia). Right on the state line. Five churches but no hospital in my town. I just went over the state line and was born in Kingsport, Tennessee. It’s the Smoky’s either way. Them hills knew how to raise me for sure! You know exactly what I speak of. Since Beverly brought it up, I asked her what her church background was. “Southern Baptist! Alive and well in them hills, boy! God loves everybody. It don’t matter what religion you come from. I took away a lot of the good but I left the bad. I think some of the things are people’s own opinion and they’re not the ones who ultimately make the decision for all of us at the end of our lives. I believe that I’m following a pretty good path and I started in a good, general direction with God in my life. How about the song Come to Me? “Come To Me – that’s very heartfelt right there. I wrote that one during the end of The Voice. You watch 77 to 100 people that you make friends with go through the same audition process as yourself but they’re leavin’ and you’re not. They come to you and they cry and they express all of their feelings. It was a tough position to be in but I was their friend. I was the oldest one there. I’m 41 and you get a 16 year old coming to you, crying and going, ‘I was cut’ and I’m goin’, ‘Baby, don’t give up! Look at me. I’m 41. I’m still in the runnin’. Geez! You can do this again. Who knows in 20 years what competition there will be? You’re already in the game. You’re already bein’ seen at 16 years old.’ It was wild, man. I couldn’t let the call go without asking Beverly her reasons for covering the Nina Simone classic, Nobody’s Fault But Mine. “Well, it wasn’t covered, number 1. Number 2, I love Nina Simone. Did you ever watch that movie, Point of No Return where the actress in there – Jane Fonda’s daughter, Bridget Fonda – she was a assassin and they brought her back to life to be an assassin? She said, ‘I want Nina Simone records’. That prompted me to look up Nina Simone since she covered Here Comes The Sun by the Beatles. That was beautiful! I fell in love with that song (Nobody’s Fault But Mine) because I related to it in my life. If I die and my soul’s lost, it’s nobody’s fault but mine. It really speaks volumes to me coming from a very Christian background, etcetera. But, being the wild child that I am . . . honey, I dance with the devil in the moonlight, I’m drawn to the ones who ain’t afraid, especially. I think I am one of those ones. I don’t fear anything at this point. They broke me of that. Put ya in front of 19 million viewers a week and tell ya, ‘3-2-1, you’re live on television’, that right there will stop anybody or make ‘em. One final song I asked her about was I Can’t Hide Me. “Yeah! That one was when I figured out that I was going to be on national TV.” Beverly then startsed citing the lyrics from the song. “‘I can’t hide me. I don’t want to anyway . . . Can’t go turning myself around, I need more backbone for this town’ L.A.? Yeah. It makes sense now that you’re hearin’ what I’m sayin’. Two and two make four, man. Our tight schedules making our chat feel like it was ending far too soon, I asked Beverly what her 2012 plans are and, when she’s left this life, what does she hope her legacy will be. As the old saying goes, “When words fail, music speaks” and nothing symbolizes that more than that story. No doubt, we will hear a lot about, and from, Beverly McClellan for years to come. You can board the “Beverly Train”, by visiting www.beverlymcclellan.com. You can also catch the Boomerocity review of her new CD, Fear Nothing, here. I’ll just tell you now, though, that I love it and encourage you to pick up a copy or two. You’re going to love it.